Security is paramount when it comes to your hosting. Hackers are becoming more advanced in the way they obtain personal details, leaving you more vulnerable. 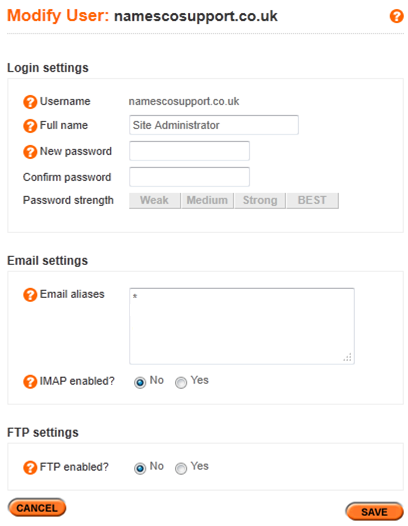 Namesco are combating this by improving security on FTP access, by introducing an FTP Lock. You will now need to distinguish between welcome and unwelcome IP addresses. Here we will explain how you can restrict FTP access, preventing any unauthorised activity on your hosting space. Firstly log into your Online Control Panel. 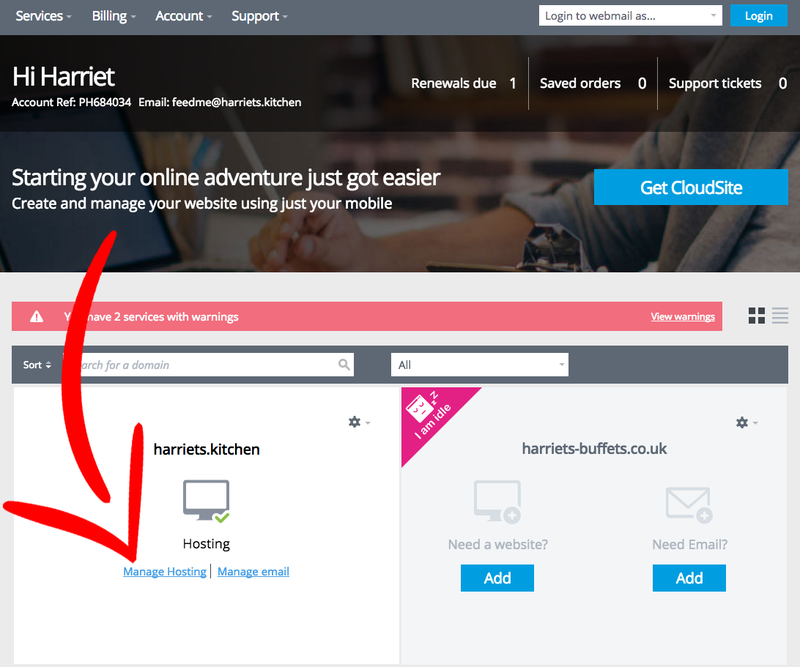 Click on the Manage Hosting link beneath the domain. From the left hand menu, click on Email & FTP. Select the username that you wish to change the FTP settings for, which will take you to the page shown below. Change FTP Enabled? to Yes. If you wish to allow access from your computer you can click on the Add button and this will add your IP address to the list of Allowed IPs . Any FTP connections from other IP addresses will be locked out. 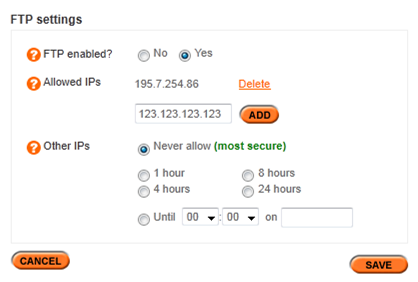 You can use an alternative IP to make additional FTP connections by clicking on 'Add' and entering your new IP address. This will ensure that this IP address is not subjected to a time lock in addition to the default IP address. If you do not wish to define an alternate IP address, you can allow FTP access to all Other IP's for a restricted period of time, 1 hour, 4 hours, 8 hours, 24 hours. 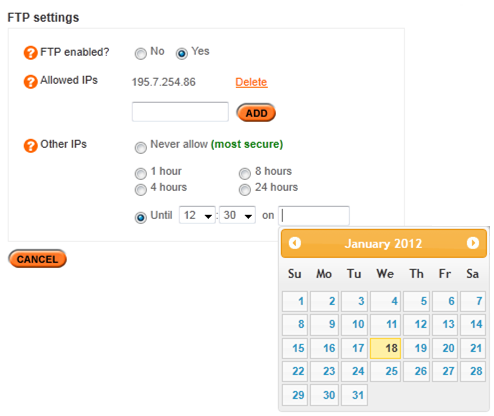 Once this time has lapsed, every IP other than the default will be locked out of FTP. Rather than adhering to the pre-defined time settings, you may wish to set a custom time/date by selecting Until. Once the specified time and date has been reached FTP access will then be disabled.